Iceland—home to under 330,000 people—is a relatively small country. 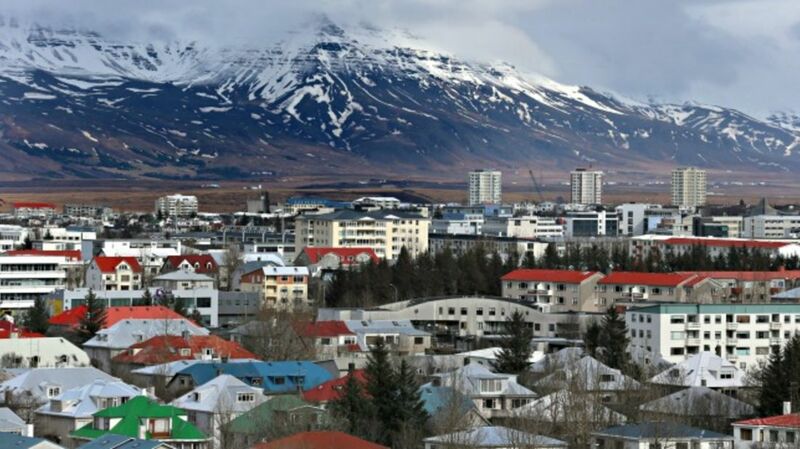 And about two-thirds of Icelanders live in or near Reykjavík, the country’s capital. With a small population clustered together in a relatively small space, you can see how it would be easy to be distantly related to someone without realizing it. It’s such a problem, in fact, that there’s a mobile app called Íslendinga-App that helps Icelanders determine if their potential romantic interest is actually a little-known cousin or long-lost aunt. If you're thinking it can really be that big of a problem, apparently it is. “Everyone has heard the story of going to a family event and running into a girl you hooked up with some time ago," Icelander Einar Magnusson told USA Today. In addition to the small population issue, there’s also Iceland’s unique naming convention: Instead of adopting their mother’s or father’s surname, children often add their parents’ first names. Take one of Iceland’s most famous exports, Björk. Her full name is Björk Guðmundsdóttir, with “dóttir” meaning “daughter.” So she is Björk, daughter of Guðmundur. And to make it more confusing, children can adopt the first names of both parents. The former mayor of Reykjavík, Dagur Bergþóruson Eggertsson, is Dagur, son of Bergþóra, son of Eggert. So while a distinctive last name could be your saving grace in the U.S.—“Wait, you’re a Jingleheimer-Schmidt? So am I! Of the Boston Jingleheimer-Schmidts?”—the Icelandic naming convention prevents families from having shared last names. Avoiding an embarrassing hookup is a big perk, but that's not all the app does. It also lists popular names, culls interesting statistics, and provides a calendar of relatives’ birthdays.